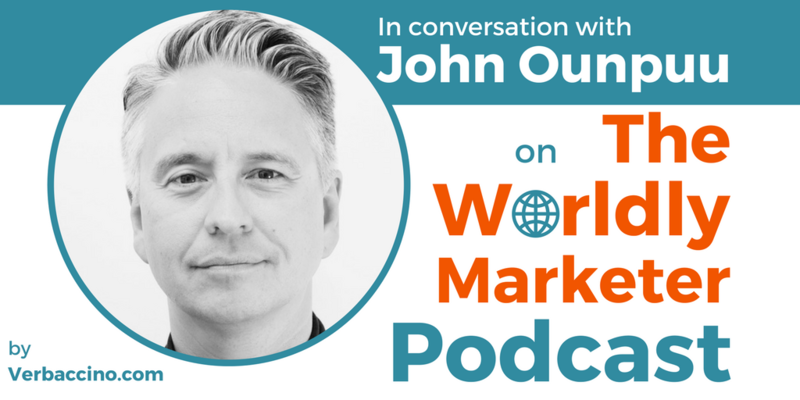 John Ounpuu is a Co-Founder and Partner at Modern Craft, a boutique marketing consultancy focused on helping brands keep pace with modern customers by upgrading the most critical components of their marketing engine. John is a seasoned strategist, a writer and a speaker with a deep interest in the new challenges and opportunities facing marketers today. His clients at Modern Craft include Destination Canada, Hootsuite, and Sesame Street. Before co-founding Modern Craft in 2014, John was the Vice President of Strategy at Blast Radius, a Vancouver-based digital agency, where he spent a decade guiding brands like Nike Golf, Nike Jordan, Microsoft, Starbucks, and Electronic Arts, as they adapted themselves to the challenges of an increasingly digital world. Prior to joining Blast Radius, he worked in software marketing and spent time in the tech startup world. John has been featured as a speaker by Forrester, BCAMA, Canada Post, and the CIMC Conference. His writing has been published by Forbes, CMO.com, CMSwire, and WARC, among others. In a previous career, way back in 1990s, John was a musician and songwriter, and the bassist for the Canadian Juno-nominated alternative rock band, Pluto.